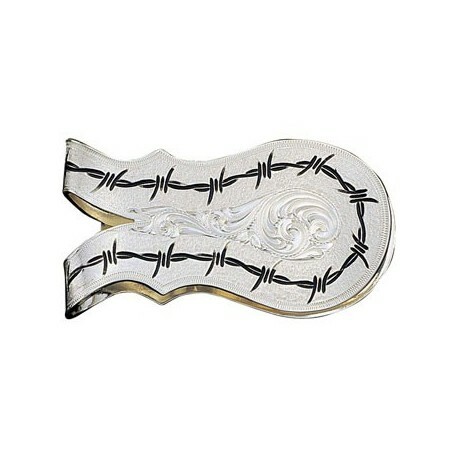 Rounded silver money clip is engraved with a barbed wire pattern around the edge all the way around. The V shape cut in the fold of the silver money clip is and accented with a teardrop of delicate filigree engraving falling into the wider center. 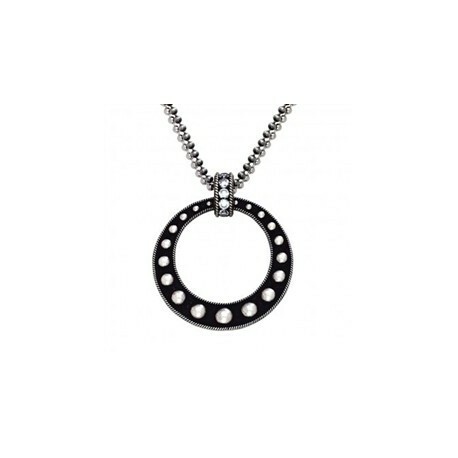 Large circle pendant, wider at the bottom and narrower at the top. Lined with Silver studs on a black background and trimmed along the outside and inside edges with antiqued twisted rope detail. 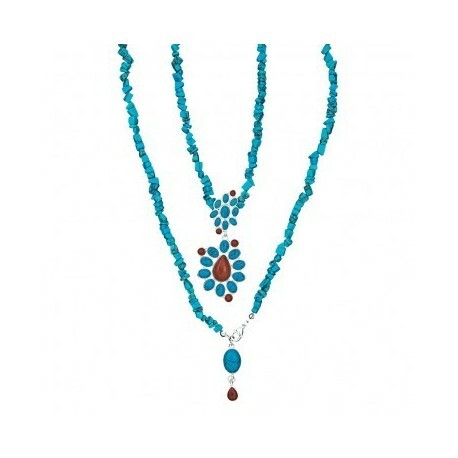 Attached to the long dual beaded chain with a ring of clear crystals on black, also trimmed in twisted rope detail. Hinged silver money clip is fully engraved with western style silver filigree all the way around. 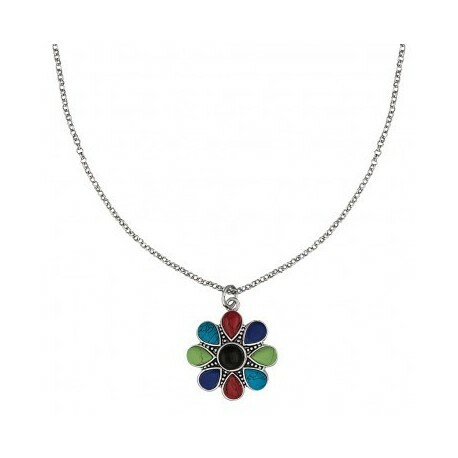 The hinged arm is in the shape of a circle with a flower accent in the filigree engraving. 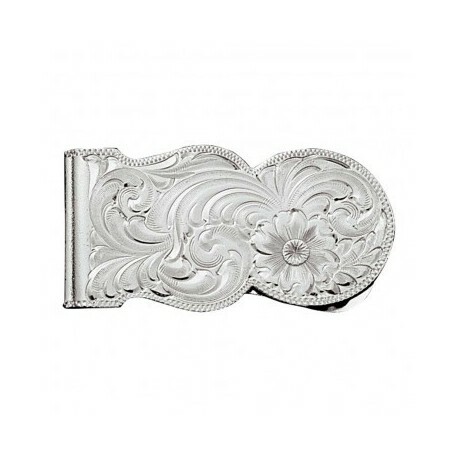 Scalloped silver money clip is fully engraved with western style silver filigree across the top with a large engraved flower accent. Celebrating the romance of the West founded on a unique strength and true grit, the New Classics Collection features a rich, exclusive patina on Montana classic engraved silver designs with a dark gold lining. 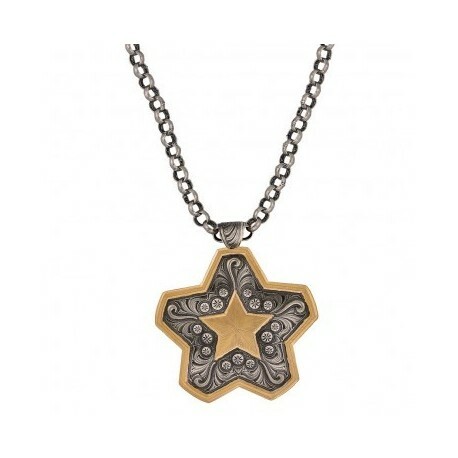 The Star of the West Pendant Necklace hangs on an matinee length chain for a bold fashion statement. 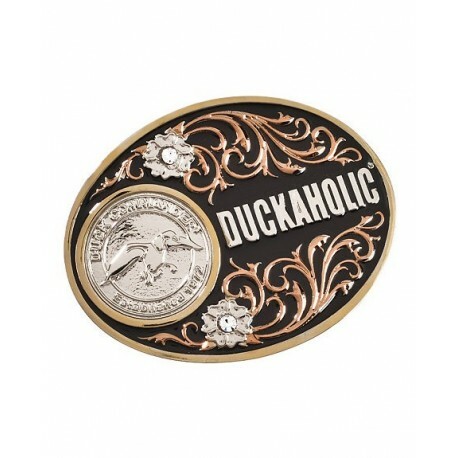 This medium sized Attitude belt buckle is elegant in its simplicity of design, featuring the DUCK Commander and logo in raised relief in the center of a pool of shiny pink epoxy. The slightly rounded rectangular shape is framed all around with a brightly polished nickel twisted rope trim. Standard 1.5" belt swivel set on the back. Beautifully detailed, yet understated in size, jewelry set feature emerald colored stones set in concentric circles of antiqued silver and gold, dangling from a solitary green crystal. Necklace pendant hangs on 20 1/2 inch chain. 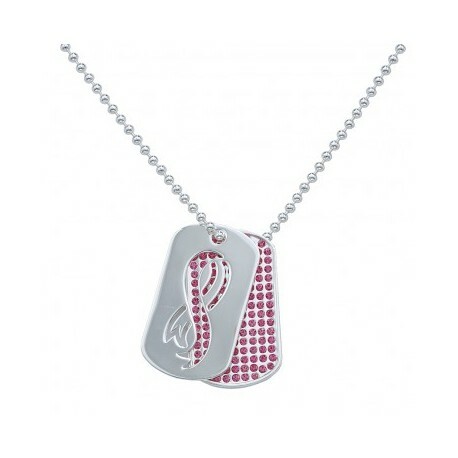 Brightly polished silver dog tags feature one tag with a familiar awareness ribbon cut out to reveal pink rhinestones encrusted on the second tag in back. A quiet reminder of breast cancer awareness and the strength it takes to survive. 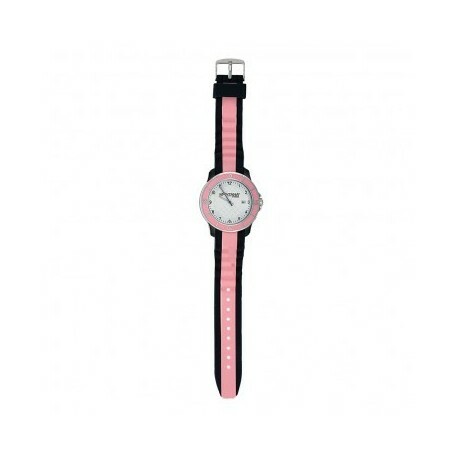 Are you Tough Enough to Wear Pink?